Posted in: Radio Control, XRAY. Team XRAY is trying to stay ahead of the competition, they have released a New Aluminum Chassis for the T4 platform. The chassis is 2mm narrower which will increase steering and stability. 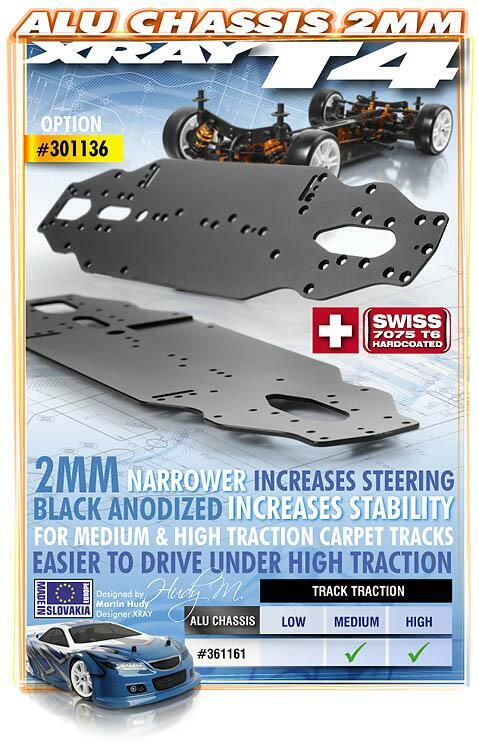 The new chassis was designed with medium & high traction carpet tracks in mind.